Catherine Elizabeth Middleton was born to Michael and Carole Middleton at the Royal Berkshire Hospital, Reading, on 9 January 1982. 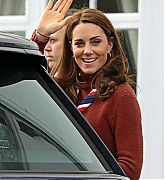 The Duchess is the eldest of three children. The Duchess of Cambridge was christened at the parish church of St. Andrew’s Bradfield in Berkshire on 20 June 1982. In May 1984, at the age of two, The Duchess moved with her family to Amman in Jordan, where her father worked for two and a half years. Her Royal Highness attended a nursery school in Amman from the age of three. 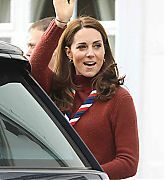 In September 1986, the Middletons returned to their home in West Berkshire, and Her Royal Highness started at St. Andrew’s School in Pangbourne, where she remained until July 1995. 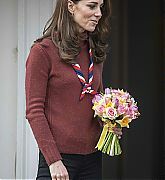 The Duchess went on to Marlborough College in Wiltshire, where she studied Chemistry, Biology and Art at A-level. 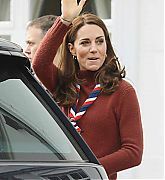 Her Royal Highness also took part in sport on behalf of the school, playing tennis, hockey and netball and participating in athletics, particularly high jump. 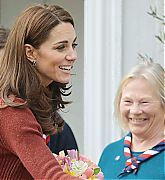 The Duchess completed her Duke of Edinburgh Gold Award at Marlborough. 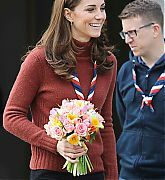 Since completing her degree, The Duchess has worked for Party Pieces, a company owned and run by her parents. 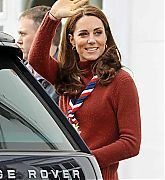 Alongside her work for the family business, The Duchess worked in London as a part-time buyer for the clothing company Jigsaw Junior. In 2008, The Duchess launched First Birthdays, a junior brand to Party Pieces. Her role within the family business included catalogue design and production, marketing and photography. 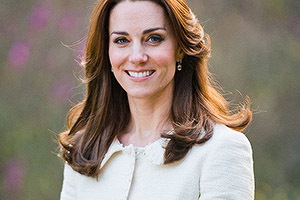 On 3 December 2012, St James’s Palace released a statement that Their Royal Highnesses were pleased to announce that The Duchess of Cambridge is expecting a baby. 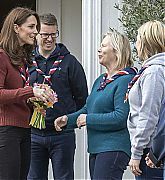 The Duchess’s hobbies include recreational sports such as hill walking, tennis, swimming, sailing, and the arts such as photography and painting.